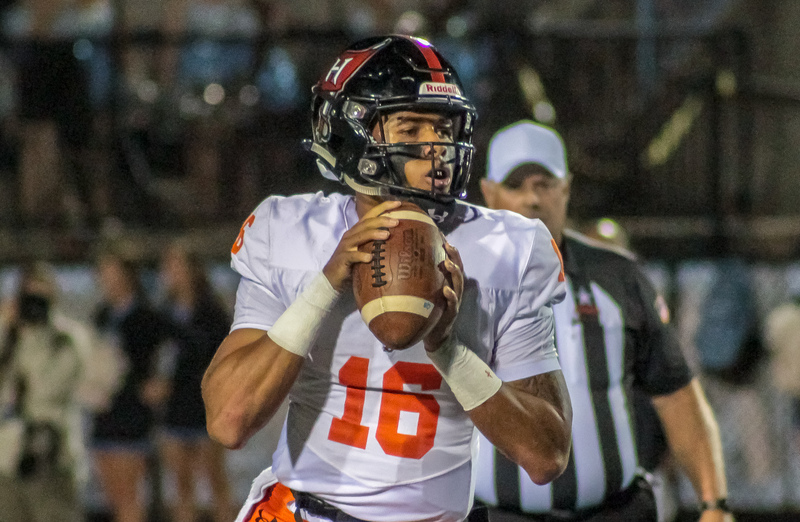 Birmingham, AL – Three of the four remaining teams in the AHSAA 7A playoffs rose in the latest installment of the High School Football America National Top 100 rankings. The undefeated Central-Phenix City Red Devils (12-0) lead the pack, jumping two spots to come in at No. 16. The 9-3 Hoover Bucs climbed five spots to No. 54 after dispatching Mountain Brook 42-17 in the second round of the AHSAA postseason. Mark Freeman’s Thompson Warriors (11-1) round out the Alabama squads after rising three spots to No. 61 following a 37-13 drubbing of formally nationally ranked Hewitt-Trussville last Friday night in Alabaster.